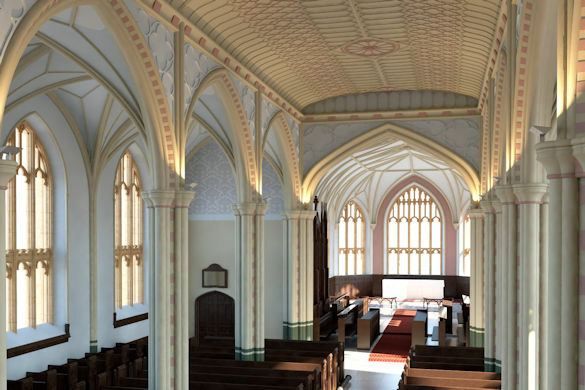 Well-known Liverpool landmark, St Luke’s Church on Leece Street, has had a digital restoration thanks to a dedicated architecture student at the University of Liverpool. Affectionately known by locals as the Bombed Out Church, the iconic building was first constructed in the 1800s and is a notable example of what is known as the Georgian Perpendicular Gothic Style. It features the first metal bell frame in the world, but was devastated in the spring of 1941 after the German Luftwaffe carried out a series of devastating raids on Liverpool – the May Blitz. Following a three-day blaze, only the shell of the building remained. It has never been restored and remained closed to the public for many years. After surviving a number of demolition threats, the church was reopened in 2007 and is still used for arts and community events. 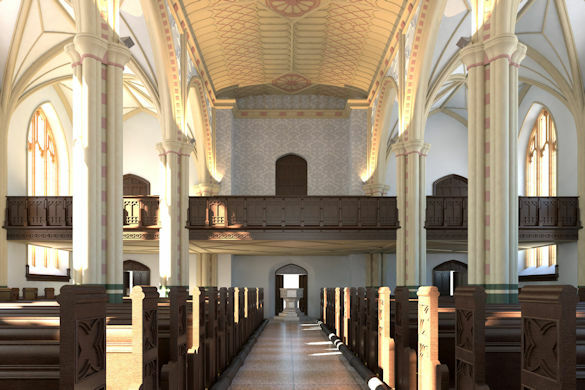 But now it has received a full, albeit digital, restoration from Master of Architecture student David Oldham, 25, who has created a series of images and a video showing how the Bombed Out Church would have looked before the World War II Luftwaffe raid. 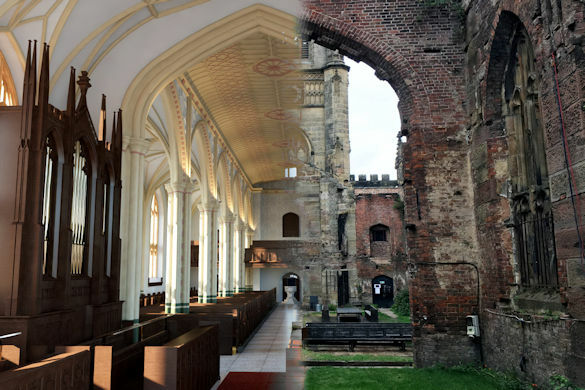 David has used original photographs of the building, laser scans of the existing building and clues on site, such as holes that would have marked structural elements to create the ‘before and after’ composite images and video for the research project. Commenting on the project, David said: “I wanted to test if buildings such as this could be documented and presented in a more visually engaging way with the public. I was also keen to see the level of public interest in the project as it is a very well-known and well-liked building in the city. “I hope the images and video will help the public to engage with the history of the building and showcase it as more than just a ruin.